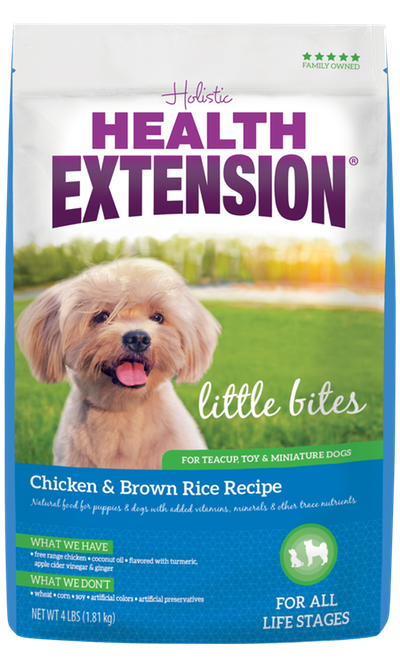 Health Extension Little Bites Chicken & Brown Rice Recipe dry dog food is crafted especially for teacups, toys and miniature dogs – from puppies to senior adults. This delicious, protein-first formula contains select cuts of organically raised chicken along with highly digestible brown rice. 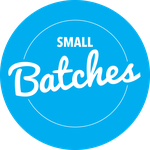 Our Little Bites recipe is formulated with cutting-edge ingredients like turmeric, apple cider vinegar and ginger. It’s also packed with natural probiotics for proper digestion, as well as flaxseed and pure coconut oil for supple skin and a shiny coat. This recipe comes in a perfectly sized kibble for small dogs and puppies. Available in both wholesome grain and grain free varieties, Health Extension dry and canned dog foods offer everything canines need for a long, healthy and happy life. That’s because we always start with highly digestible animal proteins. 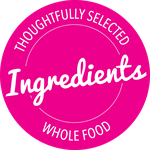 Then we add a spectrum of beneficial ingredients to ensure that our four-legged friends are getting all the nutrition they require in every mouth-watering bite. 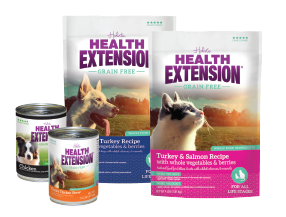 Every Health Extension recipe is formulated to help support healthy skin and coat, strong joints and bones, a balanced digestive system and a healthy immune system. 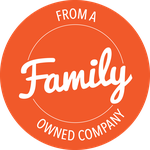 They’re prepared without any artificial colors, flavors or preservatives, and are 100% GMO ingredient free. No wonder these recipes are endorsed by the American Canine Association. 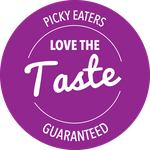 All the meat, fish and chicken we use is naturally raised without antibiotics, steroids or artificial hormones. 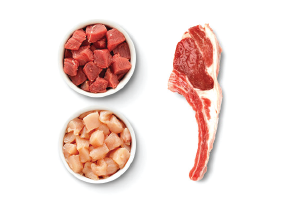 Our premium quality lamb is obtained from Australia and New Zealand. 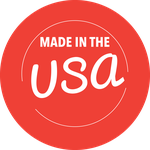 Our cage free chicken and free-range beef are sourced from American farms. With organic cage free chicken! Holistic Health Extension Chicken & Brown Rice Little Bites Recipe is formulated to meet the nutritional levels established by the AAFCO Dog Food Nutrient Profiles for all life stages including growth of large size dogs (70lbs. or more as an adult). Organic Deboned Chicken, Chicken Meal, Ground Brown Rice, Chicken Fat (preserved with Mixed Tocopherols), Lamb Meal, Menhaden Fish Meal, Flaxseed, Coconut Oil, Dried Beet Pulp, Brewers Dried Yeast, Egg Product, Malted Barley, Turmeric, Bovine Colostrum, Organic Apple Cider Vinegar, Ginger, Green Tea Extract, DL-Methionine, Vitamin A Acetate, Vitamin E Supplement, Riboflavin Supplement, Vitamin B12 Supplement, Vitamin D3 Supplement, Niacin Supplement, Choline Chloride,Pyridoxine Hydrochloride, Thiamine Mononitrate, Folic Acid, Biotin, Inositol, Dehydrated Kelp, Zinc Polysaccharide Complex, Iron Polysaccharide Complex, Manganese Polysaccharide Complex, Copper Polysaccharide Complex, Cobalt Polysaccharide Complex, Calcium lodate, Sodium Selenite, Yucca Schidigera Extract, Dried Lactobacillus acidophilus Fermentation Product, Dried Lactobacillus casei Fermentation Product, Dried Enterococcus faecium Fermentation Product, Dried Bacillus subtilisFermentation Product, Dried Bacillus licheniformis Fermentation Product, Dried Bacillus coagulans Fermentation Product, Dried Aspergillus oryzae Fermentation Product, Dried Aspergillus niger Fermentation Product. 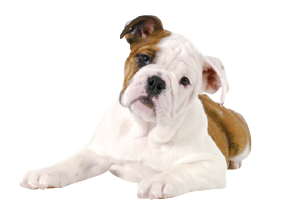 Feeding requirements may vary based on your dog’s age, activity level, and environment. 31+ Add 1/2 cup per 10 lbs. Add 1/4 cup per 10 lbs.